Pregnancy is not for the faint of heart, and all mamas are true warriors. If you’re expecting during the summertime, you’re playing the game at a whole different level. 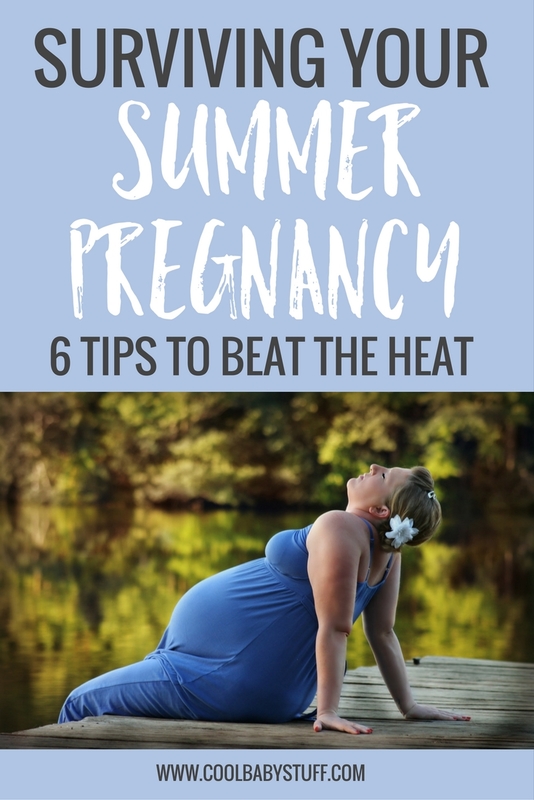 It’s hard to stay cool when you’re sweating in places you didn’t even know exist, but check out the following tips to keep your bun cooking at just the right temperature and to survive and even enjoy your summer pregnancy. Being pregnant in the summer can make it hard to stay motivated to be out and about. It’s still important to get exercise, or at least get some fresh air and sunshine, but you should avoid spending a lot of time outside during the hottest parts of the day. Go for early morning or evening walks when the temperatures are cooler. You’ll also enjoy the peacefulness of the day as it is beginning/ending. Wondering how to handle visitors after your little one is born? Check out this article to get some ideas! If you are 9 months pregnant, putting on a swimsuit might be the last thing you want to do. 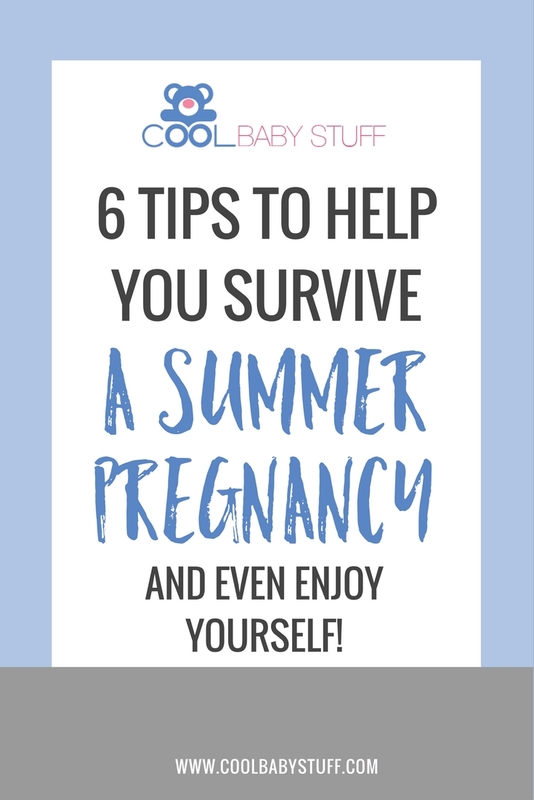 However, if you are 9 months pregnant in the summer, you just might be desperate enough! Embrace the bump and book it to the closest swimming pool. Going for a swim will not only cool you off, it provides the perfect, gentle exercise and is great for helping baby maintain the ideal positioning for labor. With your summer pregnancy, try to set aside time each day to kick up your feet and rest. It’s easier said than done when you have a long list of things to do before baby arrives, but your body will thank you for it! This will help you preserve your energy while also cooling you down, and you’ll be even more ready to tackle that nursery post-catnap. Stay cool with maternity tanks and dresses made out of lightweight, breathable fabrics. Now’s the time to flaunt your feminine figure and rock your strong arms and legs like never before. A favorite piece is this simple yet versatile dress from Storq, which can be worn even after pregnancy and accommodates to breastfeeding mothers. The most important thing to remember during any pregnancy, but especially in the summer, is to stay hydrated! Drinking enough water helps your body (and baby) absorb all the good nutrients you’re consuming, helps prevent conditions like UTIs and constipation, and can also alleviate headaches, swelling, fatigue, and overheating. Aim to drink at least one full glass of water an hour- carrying a water bottle around with you will help you achieve that! It may seem elementary but sometimes the basics are best! Stick a wet washcloth in the freezer for a few hours and then apply it to your forehead to help you cool down. You can even put a few of them in there so that they are ready to grab at a moment’s notice! Another relaxing way to cool down is by taking a shower. Congratulations and best wishes as you journey through the heat of summer with your little one tucked safely inside. They’ll be here before you know it!